This is the second time in recent years I have been surprised by a Floris perfume. I’m not saying there is anything mediocre about the collection but the perfumes and colognes and Foxy have never quite clicked. Perhaps I have just spent enough time with them to see or sniff beyond a perceived mantle of traditional respectability and just a little too vintage heritage that is both its raison d’être and perhaps too it’s weak point. Interestingly though things are carefully shifting and altering at Floris, renovations, brave launches, subtle brand and store edits, tweaks to the PR atmosphere and promotion of the house. All this is happening slowly. Slow is good, it allows for adaptation, appreciation and reconciliation. It also demonstrates an awareness on behalf of Floris that certain things needs to change but only permissible in a discreet honest way, nothing outré or misleading. It is a relief to see Floris elegantly alive, the other main English perfume house Penhaligon’s sold its independence a couple of years ago to Puig along with sister-house L’Artisan Parfumeur and both have been fundamentally altered in the process. Time is in many ways fortuitous for another genuinely British perfume house with royal warrant approval to self-reflect and assiduously, stylishly reasserts itself. It was Floris’ seriously amazing Honey Oud and Leather Oud perfumes from the Private Collection in 2014 that originally alerted to Floris again. They stopped me in my foxy tracks. Originally Harrods and online exclusives I was hugely impressed and more than a little surprised by the duo; I had been a Malmaison lover but otherwise I had forgotten most of my experiences chez Floris. I was impressed by both the oud offerings but fell hard for the Honey Oud, obsessed as I am by all things apian, buzzed, waxen and honeyed. 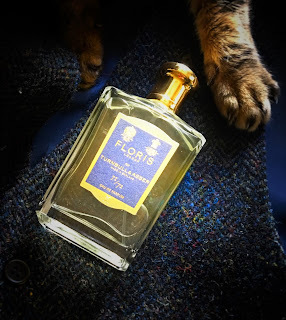 I reviewed both ouds for Cafleurebon and before I did, wondering if was worth doing so, I asked myself if Floris was just another house allowing itself to get caught up in the ever burgeoning oud mood. Houses and brands everywhere are creating oud-themed perfumes as seemingly now must-have additions to the heavier end of the oriental canon in order to entice and please the Middle Eastern and Russian clientele. While the demand for oud fragrances and being a London brand, Floris took their time joining the agarwood parade. The undeniably rich smooth finish of both compositions indicated meticulous application of formulation and a definite avoidance of generic synth-oud crowd-friendly scent. 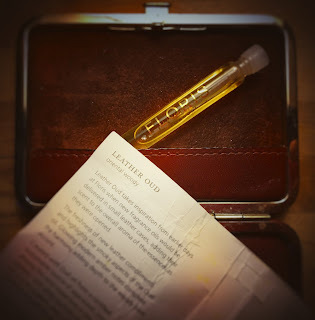 Honey Oud and Leather Oud smelled like shards of heritage Floris, wood, leather, old shops, saddles, riding boots, beehives, honey; but also sharply modern, fumed and metallic with the oud suggesting something ancient and unsettling, something very un-Floris, sensual and smeared. By concentrating on pronounced mead-like honey and fresh tack leather notes infused with a naturally suggestive and sweetish oud note that has none of the aggressive edges or throat scratching facets of some cheaper shock tactic agarwood, Floris has succeeded in maintaining an eccentrically British essence alongside what is essentially an profoundly oriental character. In essays since Honey Oud I always cite it as one of the finest examples of golden animalic honey and humming waxy bees. It is an exceptional scent. 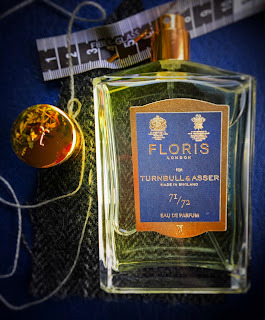 Now, there is 71/72 a new and very moreish aromatic cologne style scent, a unique collaboration between Floris and Turnbull & Asser, the Saville Row bespoke tailors and shirt makers. Interestingly, years ago, Turnbull & Asser had a house fragrance made for them by Penhaligon’s, resembling a none-too subtle mix of Blenheim Bouquet and the bitter lime-slashed Douro Eau de Portugal. 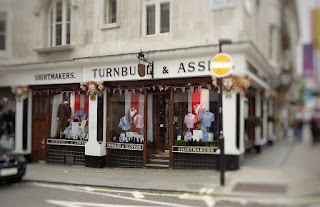 Turnbull & Asser date back to 1885, founded by Reginald Turnbull and Ernest Asser. The flagship store is in Jermyn Street, Piccadilly and they have a long and distinguished history as tailors and dressers to men of discerning style and of course discreet purse. 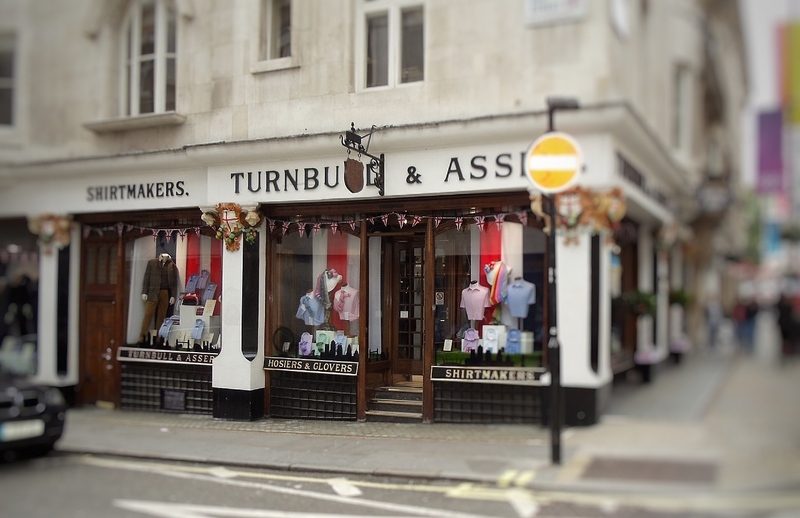 London tailoring is a quiet yet deeply competitive world and Turnbull & Asser have a much-coveted Royal Warrant as a shirtmaker to HRH The Prince of Wales. 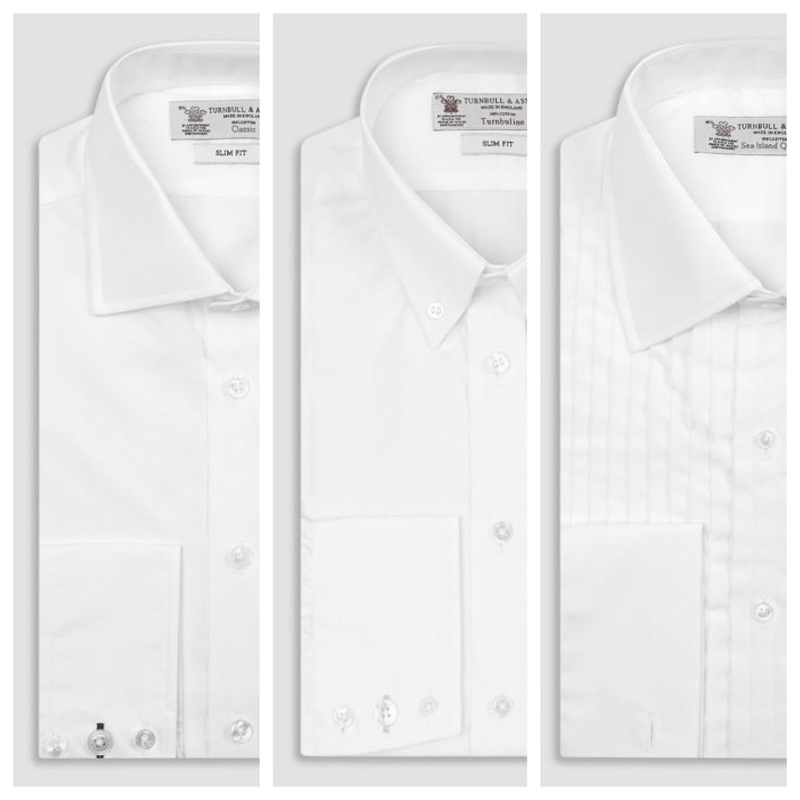 The brand started outfitting Sean Connery’s sensually cruel Bond with dress shirts with what became known as cocktail or Portofino cuffs where the cuffs were turned and buttoned back as opposed to using cufflinks. 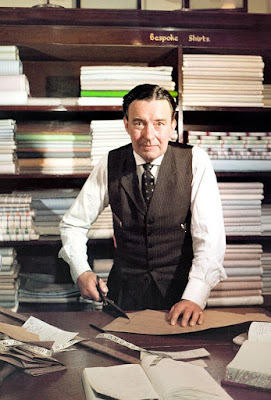 Ali Al-Fayed bought the house in 1980 and his son James Fayed is the current owner; he broke with tradition and brought in a Head of Design, a role that had never existed before at Turnbull & Asser; this is currently held by the roguishly handsome and scrupulously attired Dean Gomilsek-Cole. Along with Menswear Designer, the über-suave tie-making Shaun Gordon, this duo have to all intents and purposes infiltrated and very carefully altered and repositioned the brand to reflect not just modernity but a resurgence in dressing well for pleasure and for oneself. Floris is a much older proposition, dating back to 1730, founded by a Menorcan in London called Juan Famenias Floris and his wife Elisabeth at 89 Jermyn Street. The house has traded continually in this location and a second store in Ebury Street in Belgravia only opened in 2012. Juan, like many purveyors of scent of the time started out as a barber to the gents and dandies of Piccadilly, but Floris legend has it that he pined desperately in cold, wet London for the sun-drenched citrus aromas of his birthplace, orange blossom, lemons, limes and bergamot. And so the House of Floris was born of one man’s yearning for the scents of home that he recreated, bottled and sold to London’s discerning elite. 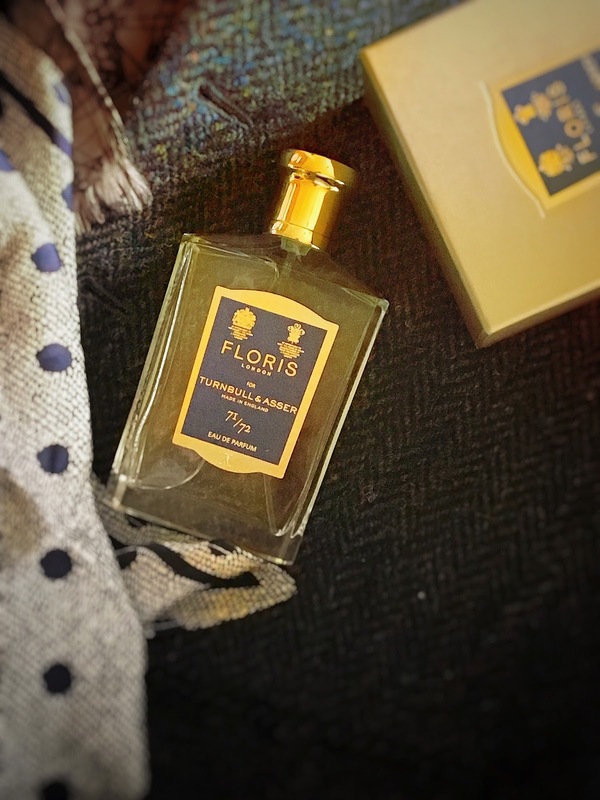 For the most part, Floris is gently resistant to trends, devotedly composing atmospherically precise floral and aromatic scents such as the lovely Stephanotis from 1786, Limes from 1832, the reconstructed Malmaison in 2000, Sirena in 2011 and Seringa from 1992. I really liked Shelagh Foyle’s Madonna of the Almonds that launched in 2009, a limited edition perfume inspired by Marina Fiorato’s book of the same name. Delicious bitter almond note bedded into almond blossom, succulent jasmine, fruited smoke and wood. Floris is considered by a lot of people to be a little old fashioned but I am beginning to realise in this current olfactive climate of schizophrenic niche and the rallying force of mainstream perfumery that traditional and steadfast is perhaps more radical and intriguing than most of the twisted, flashy nonsense passing itself off as niche perfumery, desperate to seduce, shock and assault our senses. It is not all like this of course, but it is becoming increasingly hard to remain happy and motivated by the cynical surge of contradictory movements within the niche world. 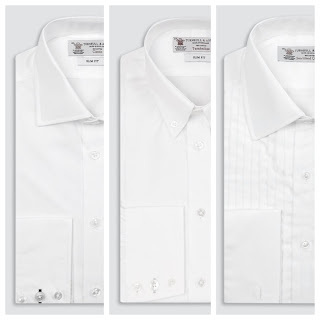 Both Floris and Turnbull & Asser are intriguing blends of tradition, sensibility and studied resistance. Both are positioned on Jermyn Street and pride themselves on proud heritage, continuity and discretion. The client is at the very heart of what they do; this may so obvious but you would be surprised by little concern is actually paid to customer in modern retail. I saw this happen first hand in a brand that very firmly obsessed over the needs of clients and went out of its way to delight them then after its buy out changed tack and went purely for the money instead and the customer experience was eroded to the point of offensive. A lot of British brands in particular have gone this way despite claiming the opposite. You only have to visit the so-called high luxury perfume stores in London’s Burlington Arcade to quickly realise how unimportant the everyday client is. They are dismissive and make huge assumptions based on visual impressions. It is not pleasant but hardly atypical; shopping in Harrods and Harvey Nichols is no different. There is an innate understanding and pleasure taken in the product at these two heritage establishments, pride that manifests itself in the elegant and careful finish applied to brand oeuvre, be it rose mouth wash and vintage scent at Floris or bespoke suiting and paisley silk dressing gowns at Turnbull & Asser. 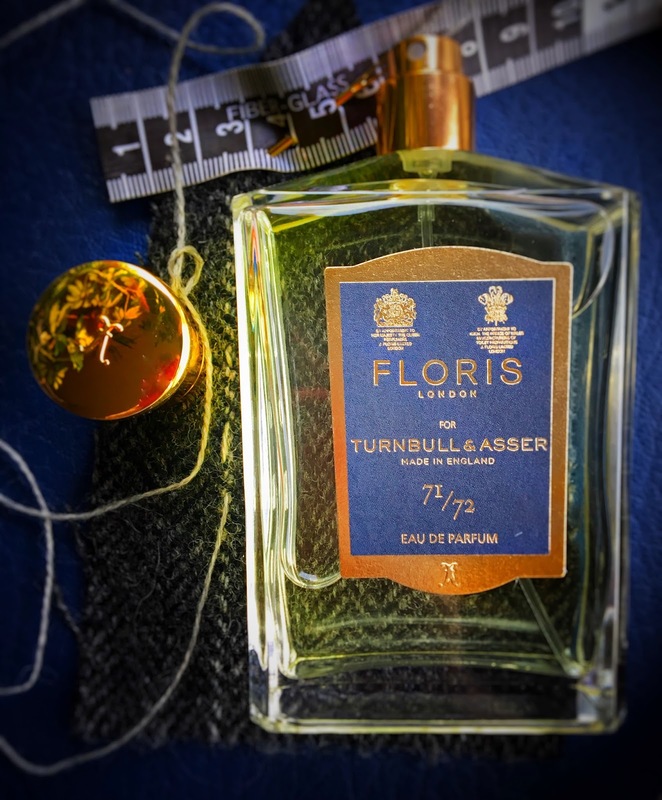 As I mentioned earlier 71/72 is the street number of the Turnbull & Asser flagship store on Jermyn Street and serves as the direct inspiration for a truly elegant and beautifully wearable interpretation of classic masculine perfumery tropes. Touches of Casino Royale Bond Craig channel Goldfinger Connery mingled with a reserved, confident and ruthlessly tailored set of materials. Creating a scent that harmonises and captures the essence of both collaborates, allowing both players to express some part of themselves is actually incredibly hard. Obviously the main focus of 71/72 is Turnbull and Asser but as the perfumers, Floris need to sign the work in a subtle, yet distinctive way. It has been designated as part of Floris’ Private Collection that includes the Leather Oud and Honey Oud, Cherry Blossom, Bergamotto di Poisitano, Sirena, 1976, 1962, 1988 and Jermyn Street. 71/72 started life as a very private small batch hand-poured perfume in 2015 commissioned by the owner of Turnbull & Asser and available exclusively to only a select few insiders, VIPs and friends of the brand. Increasing clamour for the scent led to the formulation and official launch/re-launch of this current manifestation of 71/72. 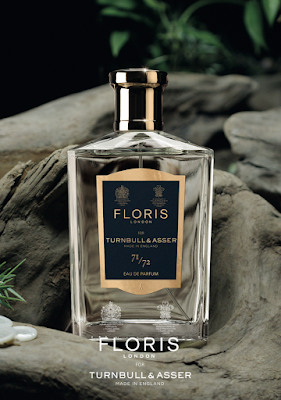 The scent is ostensibly the capture of the Turnbull & Asser boutique filtered through the Floris style. In 2010 Sarah Rotheram, the then CEO at Penhaligon’s took a bold and fortuitous decision to have French master perfumer Bertrand Duchaufour create Sartorial, inspired explicitly by the cutting rooms, paper patterns, smoke-impregnated woodwork, scissors, machine oil, tweed and beeswax blocks for thread-coating of Patrick Grant’s Norton & Sons on Saville Row. It was pretty shocking and weird at the time, Bertrand essentially exploding and then re-stitching non-too reverential pieces of the classic fougère structure. Unsettling amounts of metal-stained aldehydes blast through the top, suggesting steam pressed cloth. Arguably it is the last decent scent the brand made. Bertrand’s beautiful molten yellow Ostara, an ode to narcissus and earthen spring might count if it hadn’t been axed. 71/71 is a subtler proposition; more fitted and thoughtful, perhaps a bespoke suit that one has had for a while and now feels perfectly lived in, shaped to the body. The structure of the scent is textbook classicism but in this day and age of perfumed excess, show-off molecular aromatic, oriental room clearance and unsubtle corporate copying this is a huge relief actually; 71/72 is a welcome composition, a quiet beautifully balanced thing. The top notes are citrus, a sharp sunny bergamot with the sweet hello of juicy mandarin. I like the absence of lemon; for me it bears a stigma of cleaning and bathrooms and unless handled with extreme caution, wit and talent it sets a somewhat generic tone. Leave it to Aqua di Parma, it’s their bag and to be honest, no one will ever do as well. Tom Ford and Estée Lauder can throw all they all they like at Aqua di Parma with the brittle and vacant Neroli Portofino family and its fellow faux Italian blue-toned citric entries in the Private Blend Collection, but they smell empty, with desperate yearnings of gaudy super yachts and year round tanning. The addition of juniper is important; a suggestion of gin botanicals but also a piquant crushed stalkiness that marries well with the citrus notes and then forms a bridge with the dove-grey lavender notes in the heart. Despite how we stigmatise lavender today, it was traditionally always a men’s note in perfumery, vital in the preparation of aromatic and fougère formulations. Sadly its once elegant mauve dandy reputation has been besmirched by association with moth repellents, sleep aids, old ladies, vintage calendars and air fresheners. Ridiculous really; fresh sharp green lavender smells so shockingly beautiful and boldly amethyst. Antonio Gardoni’s recent MEM used five different varieties of lavender to complex, vitrine effect, creating a scent of graphic shimmering purple articulation. I have always found thought that lavender lays down such beautiful texture in perfume, veins of rubbed mauve haze. In 71/72, perfumer Penny Williams has blended this in the heart with a sensitive and glowing duo of jasmine and orris, both of which inject a sense of soft sunlight and dust notes falling on polished wooden furniture. Orris is a naturally powdery facet in perfumery with subtle violet vibes. It is achingly expensive due to the long processes involved in the iris rhizome to butter/concrète stage but always always worth it. It was actually valued more for it excellent fixative qualities over its aroma at first and indeed this singular aspect of orris still makes it very valuable to perfumers, exalting other materials around it, thus providing stability and exquisite nuanced tensions within compositions. 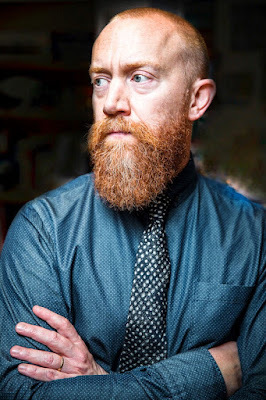 A very careful dose has been calibrated for the heart; I imagine resonating with the same intensity of purpose applied to hand-stitched collars, vents, buttonholes, lapels, sizing and cuffs creating a discreetly personal bespoke look. The oud has been used to add incense warmth, suggesting comfort and ease to help you realise you are in expert tailoring hands. The often now familiar mainstream duty free reek of metallic locker room oud is thankfully absent here; as it warms up, you realise how woody 71/72 is, with sandalwood in the base and Boisamber, a glossy synth-wood amber material with beautiful floralizing qualities. All this infused with a surprising frankincense note that raises gentle ghosts of worn wooden pews in smitten redolent churches. The overall ambience of 71/72 is one of innate style, a sense of hushed luxury, appreciated by those who like honest, well-made things. This is not about having millions in the bank, the glare of oligarch dosh or the bloated excess of Philip Green and his plastic, yacht-lounging ilk. This is more concerned with a private knowledge of elegant things and continuance of quite traditions. Both parties involved in 71/72 have elements of this, that word of mouth awareness rather than the vulgarity of glossed-up advertising and editorial. Turnbull & Asser do have the slightly garish modern Bond affiliation, which I find a little jarring as the Craig movies are brutal and lacking in any true sense of style. We won’t look back on Craig’s Bond as any genuine fashion innovator, more as someone who can straighten a cuff after pulverising someone. Casino Royale had its moments and they really belonged to the ravishing Eva Greene and cruelly sensual Mads Mikkelson. But it’s a collaboration that works I guess, providing a welcome edge of taut masculine modernity to the brand. I have always admired the resolutely old-fashioned collection quality of Floris, but perfumery is a fickle business and while trends and moods undoubtedly do play a small role in the movement of perfume sales, overall it is essentially a smoke and mirrors exercise orchestrated cynically and biasedly by PR companies, bloggers and the fashion press. A certain strata and style of perfumery just sells despite anyone opinion, immune to criticism because they smell good and people are fiercely loyal to them. I’ve come across quite a few since I’ve been writing and they bring me huge pleasure. These brands just have to hold their course and if possible, wisely adapt to change and react intelligently and gracefully to competitors. 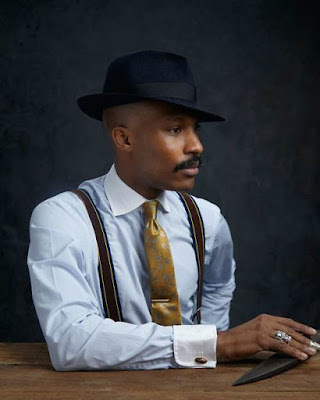 True elegance rarely goes out of style; I know sometimes amid the relentless crass blare of so-called street culture and the never-ending cycle of repetitive and increasingly irrelevant couture shows it might seem like identity has become merely a commodity to be hustled and pitied. There will always be people desire something that little bit more rarefied, understated, outwith the flow of trend and prediction, redolent of hushed and defended heritage. True heritage in retail is so precious; some brands spend a fortune creating an image of faux-lineage. Aspinal of London, Jack Wills and even Ralph Lauren to a certain degree co-opt shields, crests and mottos to suggest a heritage they don’t own. Floris and Turnbull & Asser have no need of this affectation and pretention to grandeur. They are the real heritage deal, accumulating a potent yet quiet history of archives, warrants, prestige and memories rolling back centuries. 71/72 marries the collective nostalgia and weight of carefully controlled luxury to be an eau de parfum of restful seductive strength. I surprised myself by loving the aromatic waltz around lavender and jasmine and the subsequent fall into handsome woods and gentle burnished oud. Ladies or gentlemen? I would honestly say gentlemen, it has that delicious mellow, weary crumpled aroma mi associate with suited men on trains and planes as their the remnants of cologne and deodorant fade into exertion, sweat and cloth. But…I think some ladies will just love it, perhaps recognising in the fougère style an echo of the chypré, the most ruthlessly tailored perfume structure of all. Perhaps the basenotes are a little heavy for the ladies but who am I to say, after all gender definitions have been crumbling for years now as we all search for a place in the world and that place can be scented however we want it to be. I’m glad to have the chance to revisit and explore Floris again, I will pay much more attention now, treat myself to that bottle of Honey Oud I’ve always promised myself. It is a smart and stylish house, talking quietly and successfully about refined olfaction to a new generation of intrigued clients, weary of bright and fleeting mainstream excess. Turnbull & Asser have chosen wisely and I wish this wonderful collaboration all the best in the world. *This essay was based on a sample of 71/72 kindly supplied by The Known Company, all Foxy words and opinions are of course my own.